Compact Laser distance measure with a range of 20m. Made with Leica's M3i chipset to provide reliable, accurate measurements. Simple one button operation, measures distance in metric (mm/cm/m) or imperial (inches/feet). Accuracy +/- 3mm. 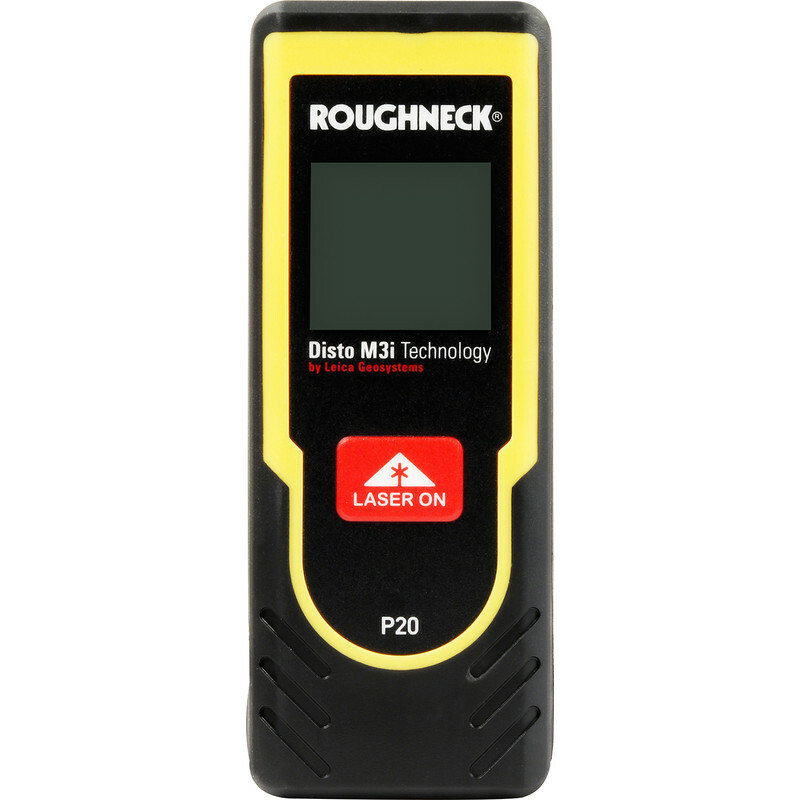 Roughneck P20 Laser Distance Measure 20m is rated 5.0 out of 5 by 2. Rated 5 out of 5 by AdrianB001 from Great little device at a good price Nice and small but feels quite robust. Made life a lot easier and quicker measuring up a property. Also shows the last two measurements on the screen so can measure a room W & D before picking up a pencil. Rated 5 out of 5 by A Blind Man from Great little tool I bought this at the higher price but to be fair still think it's decent value for money. It has Leica components inside it so I'm sure it's a well built bit of kit and will last. For quick measurements it's spot on, easy to target as the red dot is so clear and the white on black display makes it easy to read even in bright sunlight. I fit blinds for a living so and wouldn't be without a laser distancer for taking internal window measurements - I've had much more expensive ones before but this fits the bill perfectly.